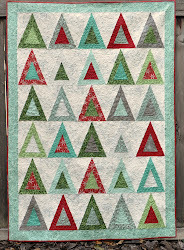 The winner of the triangle mug rug was #104, Sasha. I'll be emailing her shortly and will send out the goodies in a couple days. Thanks everyone for stopping by and entering the giveaway! I hope you're having a good weekend and that you can do something fun if it's a holiday weekend for you. We went on a quick camping trip yesterday... it was fun but the night was cold and I'm so happy to sleep in my own bed again tonight. Hi friends! 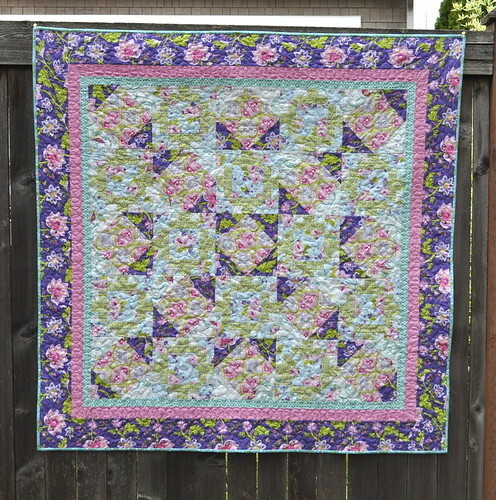 I'm happy to share another new quilt I made for this spring's Blogger's Quilt Festival. 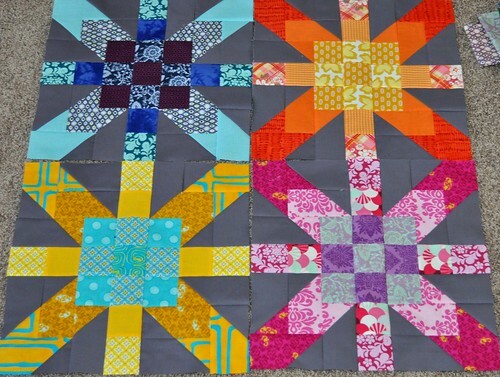 Don't forget to stop by Amy's Creative Side and see all the quilts people are sharing in the Blogger's Quilt Festival! Thanks Amy, for all your hard work!! It's very clearly explained and I've enjoyed making these four blocks. The main thing I do differently is I can't bear to cut the whole thing out and then sew. 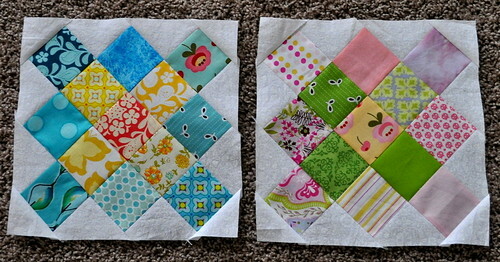 I did the first two blocks one at a time, and then cut and pieced #3 and 4 together. (I also don't press my seams open, to the side works fine for me.) They go together pretty quickly, too. 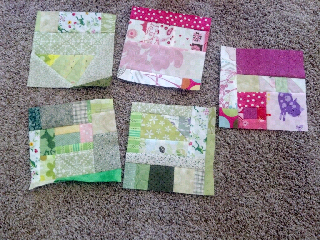 I am still figuring out the fabrics for the next group of blocks and plan on making two more today. Fun, huh? 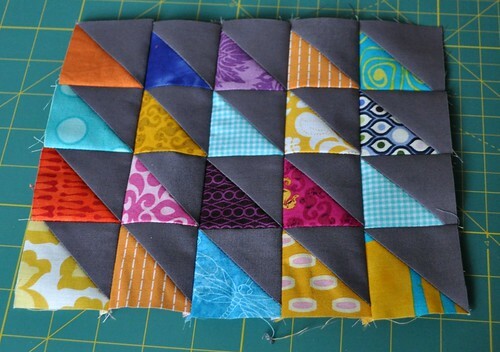 I have a bunch more 2.5" squares cut out for this, but I'm cutting them one color at a time. Still need to get to red and purple and gray.And regular blue. Also I wanted to share one more thing. 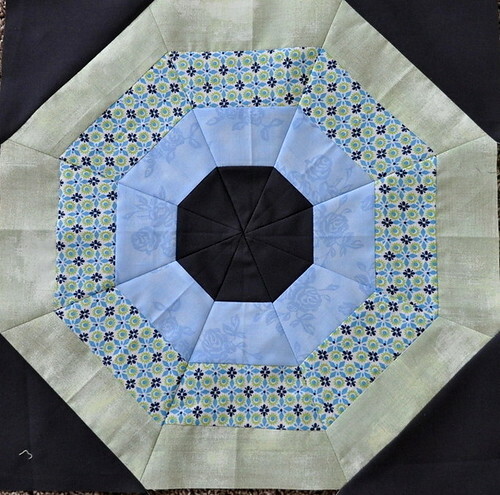 Back at the beginning of the year when I did the Focus on Free Motion Quilting series of blog posts, I had my friend Elizabeth (who blogs at Such and Sew and Sew) as one of my guest posters. 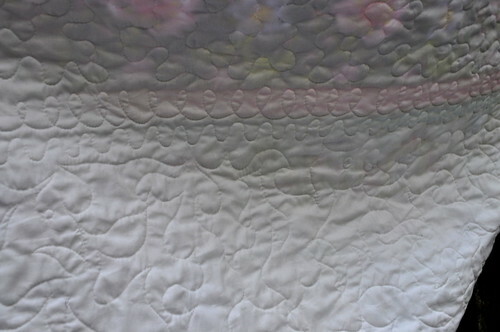 After her blog post here, she created a tutorial for her free-motion quilted swirls and I wanted to share that with you guys, if you haven't already seen it. 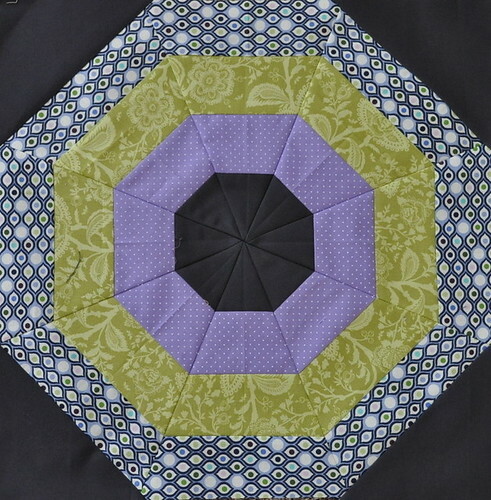 The free motion quilted swirl tutorial is here and Elizabeth's other tutorials can be found here. Thanks again, Elizabeth! and my apologies for not linking up to this earlier. Now I've got to go look at fabric and get ready to sew! 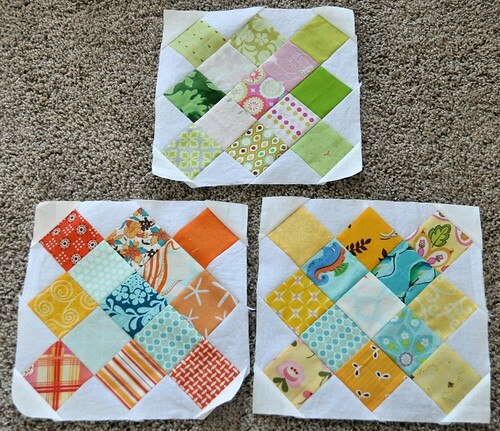 Here's the tutorial for making these blocks. I got to choose the block for May, and I have had my eye on the granny square block for a while. 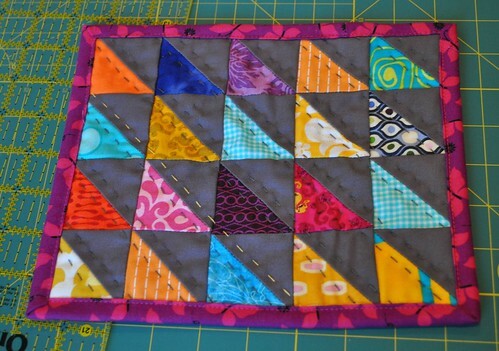 I think it's such a cheerful block and I'm excited to see all the blocks our group makes! 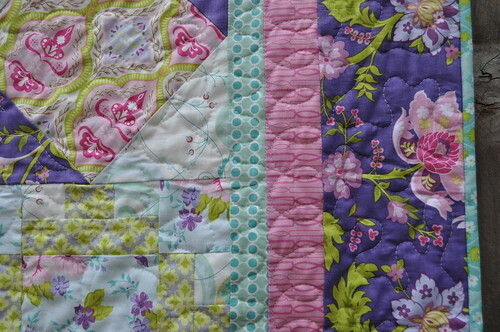 I sewed mine up this afternoon and I think I'll be making more of these soon, too.